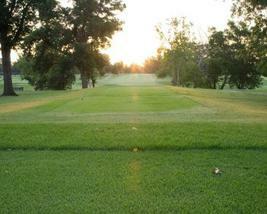 The Oklahoma Senior Golf Association, Inc. (OSGA) was established in 1946. Menbership is open to all golfers who have reached their 50th birthday. Annual membership dues are $25. OSGA sponsors several tournaments every year and competitons are flighted by age and/or handicap. The Association extends a special invitation to the wives/guests of all contestants who attend the tournaments. Tournament entry fee includes complimentary Appetizers after play on first day, and Hamburgers after play on second day for spouses.